Ten lessons I learned on my way to selling millions. My very short new book. You are here: Home / Categories / Grow Your Business / Finding Customers / Ten lessons I learned on my way to selling millions. My very short new book. In late 2012 I passed the ten year anniversary of being “self employed”. In recognition of a decade of failures and successes I’ve written my latest book. It’s a short book (only 29 pages), but I think you’ll enjoy it. The title is self explanatory. When your purchase the book you also get access to the high quality audio I made reading the book with my new high powered microphone! It’s one hour of my BEST ideas that you can take with you and listen to anywhere. You can read it on your PC or Mac or any other device with the free Kindle reader, and I also give you the PDF version as well once you get the book. Is this book for you? Let the feed back from others help you decide. Below you’ll find some of the feedback that was sent to me by the earliest readers of this short book as well as comments left here on my blog. Please leave your comments here as well once you’ve checked it out! I hope this note gets directly to you somehow. This was a Great little book, so much information in so little space! I have been personally getting back on track lately. do the things you outline in your book here. I am able to be home with the kids (4) and (6) little girls every day. wheel turning, is picking up speed all the time. You are a great teacher and have so many great ideas. I have learned so much from you in just a few short months. Loved, loved, loved your take on life lessons. I found them inspirational and succinct… Looking forward to reading it again and again – keep up the great work. Just read “Ten Years, Ten Lessons” and I must say it was very compelling. I’m a bit older than you (49) and all but one of my three daughters is out on their own. I have always provided for my family and have been married to the love of my life for almost 25 years but…I have also been on the 40, 50, 60 hour a week JOB cycle the entire time. I felt myself reflecting on this after reading this and I do have regrets about not being around enough for my family. One business trip after another, weeks on the road etc have taking their toll over the years. I am going to send a copy of this to each of my girls (with your permission) in the hopes that they will gain some insight about what it means to really be successful. Thank you for being a truly authentic beaming light of hope Jim. Read your new book. It’s fantastic! I love that it’s short and to the point with great insights from your experiences in business. I really enjoyed this book. It’s uplifting and informative, I think you will do well with it on Amazon. I recently purchased your course ‘The Proven Amazon Course’. Hope to be following in your footsteps soon. I like and appreciate your philosophy in your business but more importantly how it seems to come across in your life. Thanks for sending your latest book. What I like about you is that you’re like a filter of great ideas. I receive a lot of emails from internet marketers and some send out emails like 2 or 3 times a week, I used to read a lot of them, but now days i just don’t have time, except when it’s from you, i always read them, you’re the only one I took the time to put in my safe email list, to make sure I get your email. Sometimes you might go a week without sending an email but when you do, it’s always valuable information and I make sure to read them. I remember back in college in 2002, I had little money, when you had the silent sales machine book, I bought it and it was unique, and started reading your newsletter, I started making some money and saw how you grew, and then the mysilentteam.com came out, also with great info, and then the proven ebay course. So you only had products that you knew people were going to be successful and value, and that’s why whenever you have something new, I always bought it, because I knew it was going to work. And I’ve never seen that with anybody else. So it all boils down to trust. And I trust you, in everything you do and say. I have just read your Ten Years & Ten Lessons, having been sent your way by a friend. The timing was just so perfect, and it was such an interesting read, as I am making changes to my business to provide information, on a subject I was so cautious about sharing before. I realized that I had created a job for myself, and actually admitted to family recently that I enjoyed making my product much like a factory worker on a conveyor belt. It was only after I said it out loud, that it became clear that I was completely restricting my life and income to that of a factory worker, and not the creative success I though I was. I am in the process of changing this, and with this change I know that my business can only grow bigger and make me a lot richer than I am now! I am so glad I discovered your website today- it has most definitely inspired me! Jim, I’m just starting and while I know a lot of what’s in here, there are still great insights re personal and business life. The small successes one resonated b/c I got a huge fee from one client based on one article I wrote two years ago (before I started my business). Its allowing me to hire some contract assitants while I get started. I also admire your attention to family. It’s too important to ignore yet and too easy to bypass. And there is no advantage in a large building. Also, I’m older and a little ornery so I find saying NO a lot easier than most people. Thank you! P.S. Re writing long pieces Vs short. St. Blaise Pascal once apologized to a friend for writing him a long letter. “I didn’t have time,” he said, “to write a short one. I read your “ten short lessons” and found it not just an interesting read, it quickly and succinctly gives “legs” to the concept that time is truly precious. You accurately and convincingly use examples to make your point. Organizing your limited time in such a way as to unburden it with low priority activity is key to unleashing one’s creative energy on the things that give meaning to life… and by example you offer hope to others that they too, with a little concentrated effort, can change their circumstances and make dreams come true. I read your new book last night and what really stood out to me was the need to produce information products and share. more. information. I tend to lean more towards the conservative side and I think that has been holding me back. Thanks for the gentle reminder that I need to give, give, give to receive. Jim, just a note to say I really loved what you articulated in the enclosed book, the comments and lessons learned align extremely well with what I have found and am learning with my own business. I have circulated your book on all my social media and my website! me as a straight shooter and a successful entrepreneur. I’m just starting out, but it is clear to me that authenticity is THE big rock if you want to make it online. And, you are a master at demonstrating that authenticity is the name of the game. Hi Jim, keen to have a look at the book but unless I’m doing something wrong I am only getting a jpeg image pop up and not the pdf. Look forward to seeing it once this has been rectified. Cheers, Malcolm. That was a temporary glitch. The book image above is now the completed book PDF download link. It has been cleared up now – try refreshing the page. Jim, Thanks for letting us pre-view your new eBook! I love the short and concise lessons. Your examples helped cement the lesson and I appreciated each of the challenges. I am going to take the challenge of picking one of our repetitive tasks that we can outsource and keep us focused on the things only we can do! Great hearing from you on this one Linda! Sounds like a winning plan to me! Let me know how it’s going a couple months from now as your time is spent is wiser ways. Bullseye! Great…short and to the point! You’re a true mentor Jim C.! Thanks for sharing those 10 lessons. Thank you for sharing your lessons! Had pleasure reading it and great feeling after finished it. Everyone running business or just starting ones must read this book and pay close attention to each lesson. Very close attention if they want to succeed. I see people struggling online (and even in personal life) almost each day only because they do not know or aren’t willing to apply what Jim covered in this ebook. Good observation. It really is a book of warnings…ignore at your own risk. Thanks for checking it out Rob! Glad to hear you got some useful ideas from it. Great lessons. I talk about many of these at my local workshops. 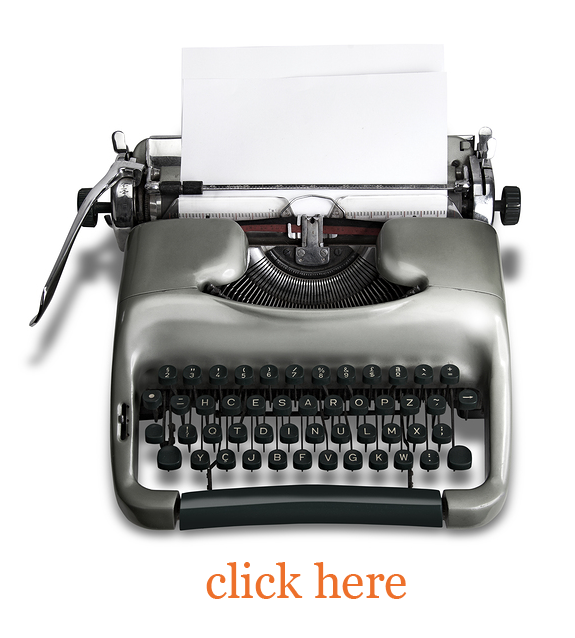 I also mention your newsletter and recommend signing up for your newsletter. Thanks for the support and feedback Dave. You nailed it again Jim. It seems like every time I am working on my business and I feel like I need a little push in the right direction, that is when your newsletter hits my inbox. This is just one of many times you have given me that “push” right when I needed it. Thanks again. Your book was great. You have been taught some very hard life lessons. Thanks for sharing them with us. I urge everyone to read it. Only takes about 10 to 20 minutes, but could change a life or two. A great read Jim, thanks for sharing. Lesson Three sure hit home with me. I’ve been working the Proven eBay Course since mid-January of 2011. I’ve had success…gross sales of $30K in 2011 and $45K in 2012 but I feel like I’ve worked myself into a job! I’m still doing all the work myself and have not explored other income streams. This lesson gave me a wake-up call! Thanks for all you do, keep it up buddy. Excellent advice, Jim. And thanks. Wonderful book! I’ve paid thousands of dollars for courses that had less real value. No filler, all useful and valuable content. And it’s the best kind of advice, because it all comes from the blood, sweat, and tears of someone who learned these lessons through living them, not reading them in someone else’s book. Jim is a real Godsend to business, and to Humanity. Thank you for sharing your ebook with us. I have not started selling yet but I am currently taking you PAC course, and have read two of your ebooks. They have given me vision beyond selling. I feel more prepared and confident with the information you have given me. Can’t wait to open the door and jump through! Hey Jim, as usual your stuff is spot on. Great lessons to learn from someone who has already travelled the path. I enjoyed the chapter about time being my friend. I started online about the same time you did without ever imagining the success I’d have. It wasn’t overnight but in reality it was just 10 years that flew by. I’ve paid off all my debts including my mortgage. Helped several ministries and people south of the border in Mexico with substantial help. And would not have to “work” if I didn’t want to. (Good thing as I broke my pelvis last week in a bicycling accident – may be out up to 6 months) My business s better than the most expensive AFLAC policy! If one looks to the end result they will probably get scared and not do it. Keep up the good work. Many thanks for sharing, Jim, Great advice, as always! Thank you Jim. You are always an inspiration for me. This “litle” great book reminded me to conquer my dreams. God bless you more and more. I have been following Jim for most of those 10 years. He is always insightful and inspiring and a joy to listen to and learn from. I loved your story of the big rocks and the little rocks in the bucket. What a great priority setting tool. When I see Jim’s newsletter in my email box, I always open it because I know there will be something of value in there. Great book! For someone like me just starting out, it is a tad scary, so your down to earth sensibility is very helpful. Thank you very much. Excellent read and advice. Thank you so much for the inspiration. My most difficult challenge is learning to outsource. I need to learn how to teach others to take on some of my task. Thanks, Jim! I’ve learned so much from you since we first partnered a few years back and those great lessons enable me to put my kids first everyday too! Ouch! I just got to page 6….the tortise and the hare….Plain talk is easily understood. I bet Donald makes this required reading at Coast 2 Coast Trucking Permits. Great read! Inspirational to a couple of growing Amazon/eBay entrepreneurs! about leadership and sharing one’s gifts with the world is so important. of living” as well, and I make huge mistakes too. Thank you Jim. I think the most important lesson I have learned by reading your book is the fact that small successes can definitely turn into big successes. I have had some small successes and now I have the inspiration to turn them into streams of income for my family. Sometimes it seems as though I’m spinning my wheels, but I just will not give up on becoming self employeed without having employees. Thanks again for your inspiration. Thank you Jim for those pearls of wisdom. THANK YOU! I love how this book mentally prepares you for success. I have all of your books and this is the first time you got into some of the mindset stuff, it was very helpful. I gave this book to my wife and she is now officially a fan! I read your “little” book last night in less than 1 hour. The best chapter was the first one where you said this is the information age. How true. Everything else in it was no surprise to me. And by the way I’m currently reading your “Free Marketing” book. This small business owner is certainly learning a lot! Thanks. I played by the rules–got all the education, put in the hours, and came to realize that I was working to build wealth and career success for someone else. Now I’m ready to seize the day and put my knowledge, education, experience and efforts to work to create a life where I can help others while reaping some rewards for myself. Your book and other resources will help make my dreams a reality. Great lessons Jim, really shows how you’ve been able to streamline things, it also makes it much more clear on how you can truly work part time from home and make a lot of money, you always only deliver the best content and info, without having millions of launches and products! 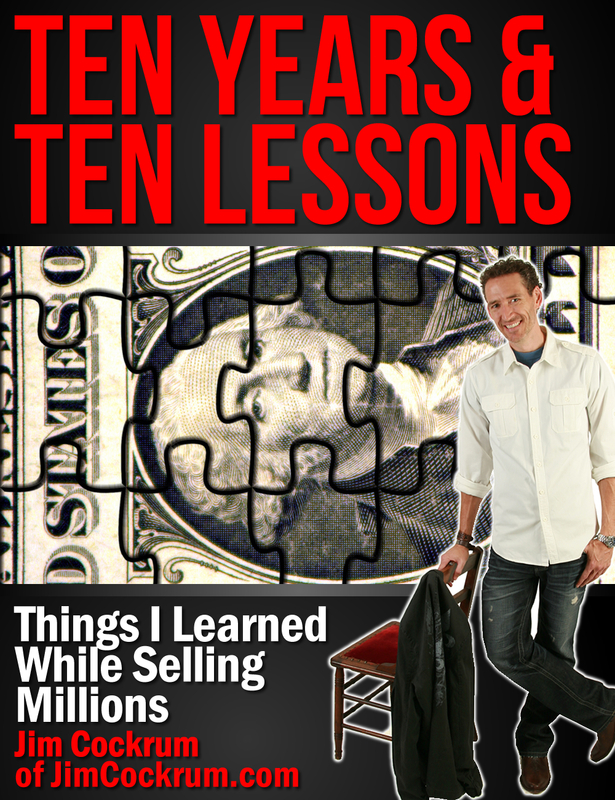 I enjoyed reading your, “Ten lessons I learned on my way to selling millions. My very short new book.” I have tried to make money online and failed multiple times and I came across this during my research on trying again. Thank you for the information and inspiration! i always learn so much from you Jim and ive only so far been able to order the one book but it was so full of good info., and i cant wait to be able to afford to buy more from you , esp., the P.A.C. ebooks, thats what im so excited about , i want to start selling on amazon , but not until i know how to do it right with your info., i tottally trust you, and all your freebies are awesome , thnx Jim you rock ! Jim – short and sweet and to the point! Don’t buy yourself a job, outsource, and automate. And no, I can’t just take off when I want to – yet. But now I am thinking that way…thanks! Great read! Thank you so much for this priceless information!! Hey Jim, Great Read! What stood out to me was lesson 4. ‘Paying Partners’. I have recently just started doing what you talk about and what a game changer it is. Thanks for doing what you do! Thank you very much for the lessons. They are condensed and full of quality. It’s a privilege to read your experience-based lessons. I have a suggestion. In your next book, could you share your successes and failures in details, like an autobiography? I think many people want to see it. Great book, easy to digest and well written. I tend to give away the whole meal and dessert and shy to have a product to market. I am a very patient person, but still money is a great vehicle to help others and myself. For me one lesson I am still trying to learn is to dim the Attraction of Shine and be wiser in choosing a coach. I knew that successful people invest in coaches. I do that and aiming to bring up the success level. I know a millionaire coach who just got back this week also coaching with Dave Ramsey. Jim, I just finished reading Ten Years and Ten Lessons. I enjoyed the insightful analysis of your journey. There are two lessons I found very interesting. The “Don’t Build Yourself A Job” lesson reminded me of an article I read back in the ’70s about the value of time. It basically said to put a value on your time and then use that to determine how much it would cost to perform a task. If you could outsource for less that was the best way to go. Of course since our time is finite we should always put a very high value on our time. I really enjoyed the saying ‘no’ part of “…The Strange Signs of Success” lesson. I had to read that part a few times to grasp exactly what it meant and then lo and behold it struck me that by saying “yes” one is following the path of others and not one’s own path. By using the option of ‘no’ you are empowering yourself. When I think of those times when I’ve said “no” I’ve had a real sense of being in control. Some times when saying “yes” it seems like I don’t have complete control. This section gave me a new perspective. Great book my mind has been there but my actions was never there. Thanks a bunch for sharing with us this great book. I just would like to say that you are my most trusted Internet Marketer on the planet. I’ve been in your list I think for almost all of those 10 years. What I can truly say is that you walk the talk and you say things as it is. That’s why I’ve been with you all this while and definitely for the future. Most big shot internet marketers are only trying to squeeze more money out of us but you on the other hand take your time to build a great relationship with us. Those are lofty compliments Eruwan. I’m grateful you’ve stuck around for so long! Your success is how I measure my own – I’m in it for YOU. Thanks very much for the ten lessons ebook – I found the tips and advice really inspiring – having spent many years running my own businesses (with mixed success) and having had a career which culminated in being the finance director of a large (120 employees) furniture company, I can relate to a lot of what you say. What’s interesting is how much I have been getting wrong for all those years, despite being a pretty successful business person! Thank you so much! Hi, Jim. It took me awhile to sit down and read your 10 lessons. Very insightful, as always, but numbers 8 and 9 really caught my attention. “Time is your friend” – All too often, we want results yesterday. It’s good to know that a successful business person like yourself sees the value of letting time work its magic in helping you develop your relationships. It reminds me of a bamboo plant – the first 9 years or so of watering the plant will not show any marked growth. Then suddenly, almost overnight, it shoots up without warning. I guess as long as you’re laying the proper groundwork, things will start falling into place if you give it enough time. 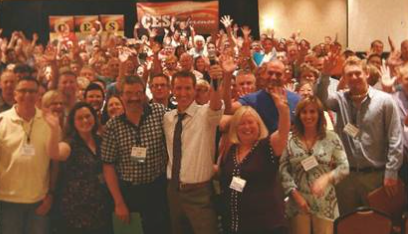 “Measuring success is far more than dollars now” – You have always preached about the power of building relationships and leveraging the trust you’ve earned to your advantage. That is, unfortunately, something that is very rarely taught. As a culture, we value the hear and now. We think short term and not long term, and we are paying for our shortsightedness. Thank you for cutting through all the noise with some commonsense thinking that places people and integrity over money and material success. Wonderful book, very instructive. Now I know what I’m doing wrong and how to fix it. I’m thrilled you found it useful! All the Glory to the giver of the gifts, Sincerely grateful God has chosen to use you. Blessings to you and your Family!…..Mighty………I’m In!! This book is totally great and has great wisdom. Thank you for taking the time to write this book and helping in the success of people around the world.